VMware agreed to acquire VeloCloud Networks, a start-up offering SD-WAN technology for enterprises and service providers. Financial terms were not disclosed. VeloCloud, which is based in Mountain View, California, says its SD-WAN solution is distinguished by supporting data plane services in the cloud, in addition to on-premise deployments; enabling policy-based access to cloud and data center applications. VeloCloud SD-WAN includes: a choice of public, private or hybrid cloud network for enterprise-grade connection to cloud and enterprise applications; branch office enterprise appliances and optional data center appliances; software-defined control and automation; and virtual services delivery. 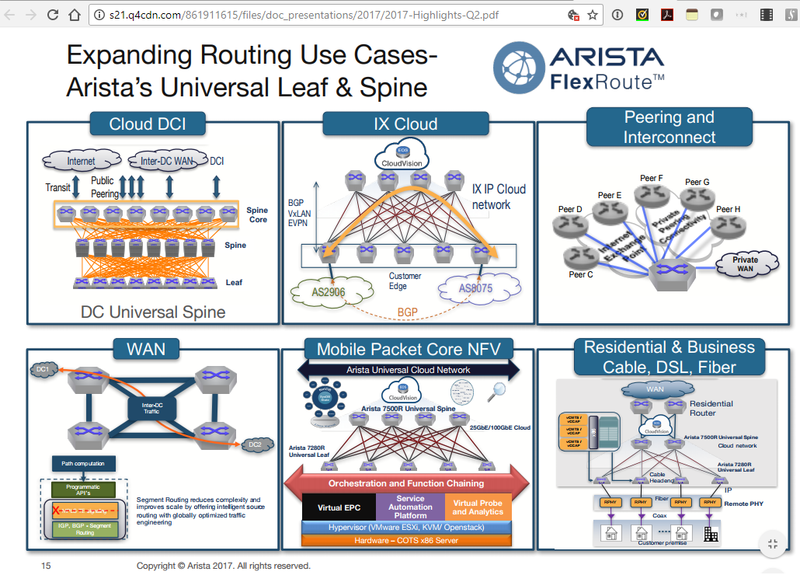 The solution aggregates multiple access lines (cable modem, DSL, LTE) into a single secure connection that is defined and controlled in the cloud. VeloCloud was founded in 2013. The company is headed by Sanjay Uppal, who previously ran OnMobile Global. He also spent time at Citrix through the acquisition he negotiated with Caymas where he was President and CEO. At Citrix, he defined the product strategy and go to market for the Access Management, Delivery Controller and WAN acceleration product lines. VeloCloud co-founders also include Ajit Mayya (previously Sr. Director of Engineering in the Cloud and Infrastructure Management division of VMware) and Steve Woo (previously head of cloud strategy at Aerohive Networks). VMware said the VeloCloud acquisition will enable it to build on the success of its NSX network virtualization platform to address end-to-end automation, application continuity, branch transformation and security from data center to cloud to edge. In March, VeloCloud closed a $35 million Series D round of funding for its SD-WAN solutions. The funding was led by Hermes Growth Partners and included new investors Telstra Ventures and Khazanah Nasional Berhad, the strategic investment fund of the Government of Malaysia (“Khazanah”), in addition to existing investors New Enterprise Associates (NEA), Venrock, March Capital Partners, Cisco Investments, and other undisclosed strategic investors. This brings total funding to $84 million. 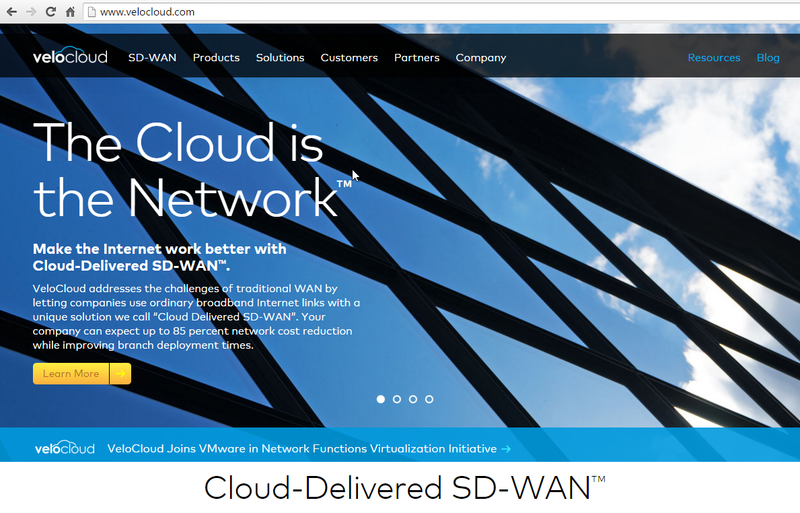 In March 2017, VeloCloud reported that its number of SD-WAN sites has grown to more than 50,000 and total customer wins exceed 600, including the two largest SD-WAN wins in the world. The company has secured deals from AT&T, Sprint, Mitel, TelePacific, and Windstream for its “VeloCloud Cloud-Delivered SD-WAN for Service Providers” solution for both Network Integrated and Over The Top implementations. 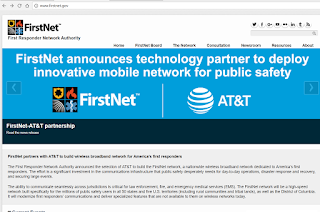 AT&T cited significant traction for the FirstNet public safety network: the governors of 29 American states and territories have made the decision to opt in to the FirstNet network. 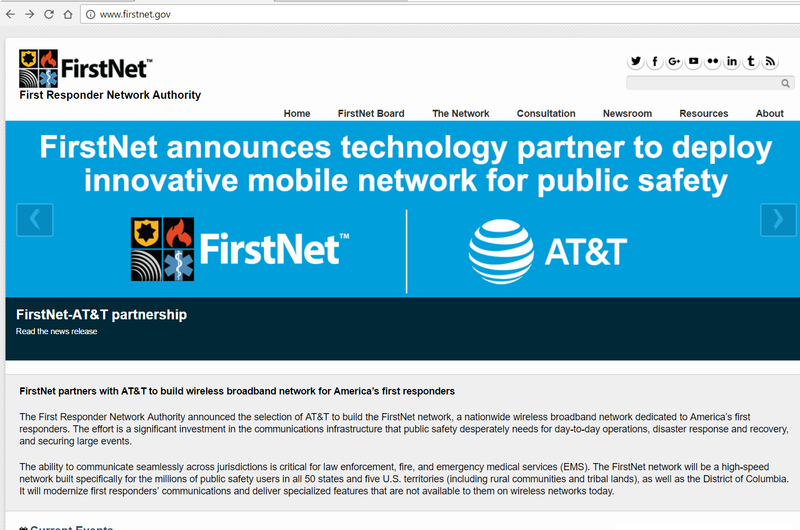 An opt-in decision allows first responder agencies to sign-up for FirstNet, giving them priority access to voice and data across the existing nationwide AT&T LTE network. In April, AT&T was awarded a 25-year contract by the First Responder Network Authority (FirstNet) to build and manage the first broadband network dedicated to America's police, firefighters and emergency medical services (EMS) that will cover all 50 states, 5 U.S. territories and the District of Columbia, including rural communities and tribal lands. The communications infrastructure to be provided by AT&T will support the millions of first responders and public safety personnel nationwide. The public-private infrastructure investment is expected to create around 10,000 U.S. jobs over the next two years, with the roll-out scheduled to begin later in 2017. For the project AT&T will create a national IP-based, high-speed mobile communications network for first responders designed to improve rescue and recovery operations, more effectively connect first responders to the information they need, support public safety initiatives based on IoT and smart city solutions and enable the use of new capabilities such as wearable sensors and cameras. 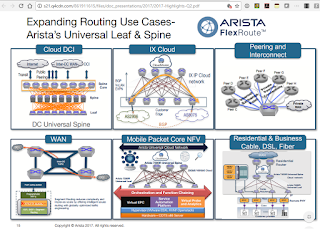 Arista Networks reported Q3 revenue of $437.6 million, an increase of 8.0% compared to the second quarter of 2017, and an increase of 50.8% from the third quarter of 2016. GAAP gross margin was 64.1%, compared to GAAP gross margin of 64.1% in the second quarter of 2017 and 64.2% in the third quarter of 2016.GAAP net income was $133.7 million, or $1.68 per diluted share, compared to GAAP net income of $51.3 million, or $0.69 per diluted share, in the third quarter of 2016. 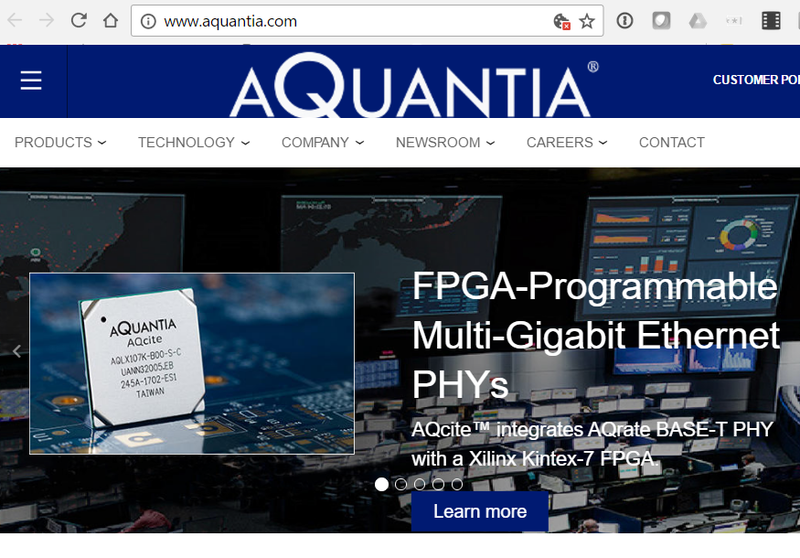 Aquantia, which offers 10GBASE-T PHY and other Ethernet solutions, announced the pricing of its initial public offering of 6,818,000 shares of its common stock at a price to the public of $9.00 per share. Ayla Networks, a start-up based in Santa Clara, California, raised $60 million in Series D financing for its Internet of Things (IoT) platform-as-a-service (PaaS). The Ayla Cloud is a completely managed service that provides a full suite of operational, business intelligence, and analytics services to manage a connected deployment throughout its lifecycle. 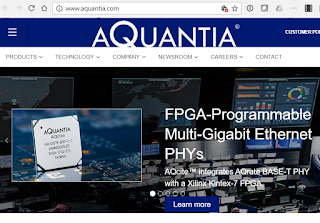 Ayla-enabled connectivity modules can be built with a variety of micro-controller, operating system, or networking protocol. Ayla also offers mobile application libraries that contain APIs for iOS and Android applications that can securely control and manage Ayla-enabled products. 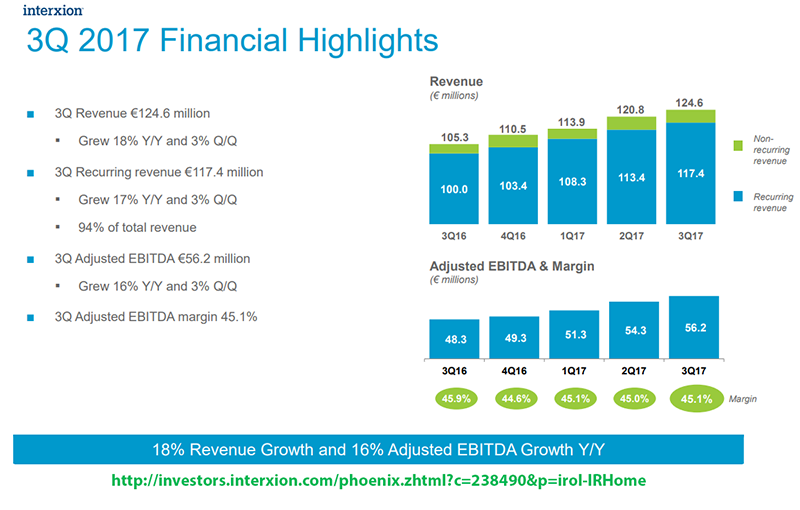 The new funding was led by Run Liang Tai Fund (RLT) and Sunsea Telecommunications Co. Ltd.
Interxion reported Q3 revenue of €124.6 million, up 18% over the same period last year. Recurring revenue increased by 17% to €117.4 million. Net income decreased by 4% to €10.1 million and adjusted net income2 increased by 24% to €10.7 million. Equipped space4 increased by 1,900 square metres in the quarter to 118,900 square metres. Revenue generating space4 increased by 2,100 square metres in the quarter to 97,100 square metres. Utilisation rate at the end of the quarter was 82%. During the third quarter, Interxion completed the following major expansions: 1,100 sqm expansion in Frankfurt, 300 sqm expansion in Stockholm, and 400 sqm expansion in Zurich. Revenue generating space at the end of the third quarter of 2017 was 97,100 square metres, compared with 84,100 square metres at the end of the third quarter of 2016 and 95,000 square metres at the end of the second quarter of 2017. ADTRAN announced the initial members of its Mosaic Open Network Alliance, which was established to foster vendor collaboration, widespread development and industry adoption of SDN and NFV solutions based on open standards. Cambium Networks - Cambium Networks is a leading global provider of trusted wireless solutions that connect the unconnected. CCS - CCS (Cambridge Communications Systems) is the creator of Metnet – the world’s only self-organizing 5G microwave backhaul for small cell, 5G Fixed Wireless Access (FWA), CCTV and fiber extension applications.